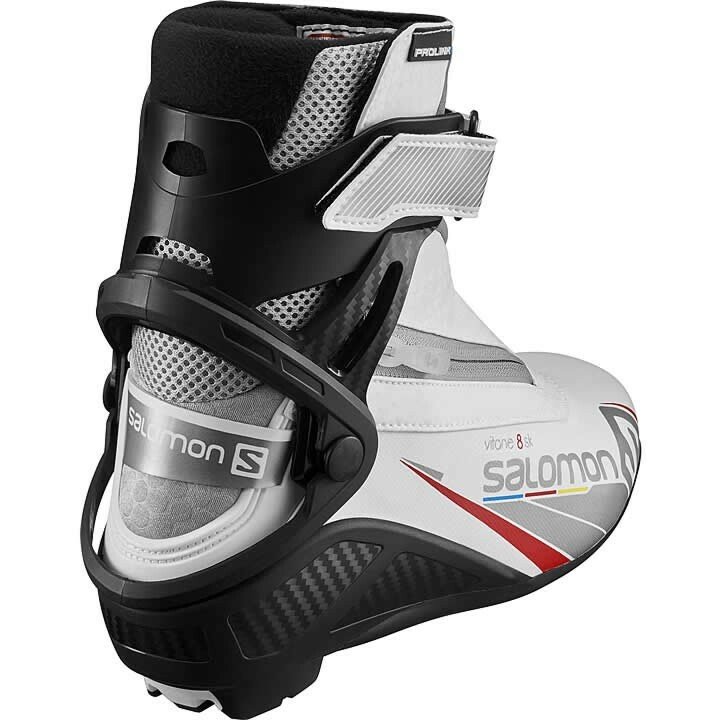 The women's Salomon Vitane 8 Skate boot combines a women's last and Custom Fit technology for superior comfort, with an Energizer Cuff for powerful yet progressive lateral support. Prolink®: Prolink boots are compatible with Prolink bindings and other bindings on the market using a 2 rail system (NNN). Skating Flex: Control and power transmission. Good lateral stability. 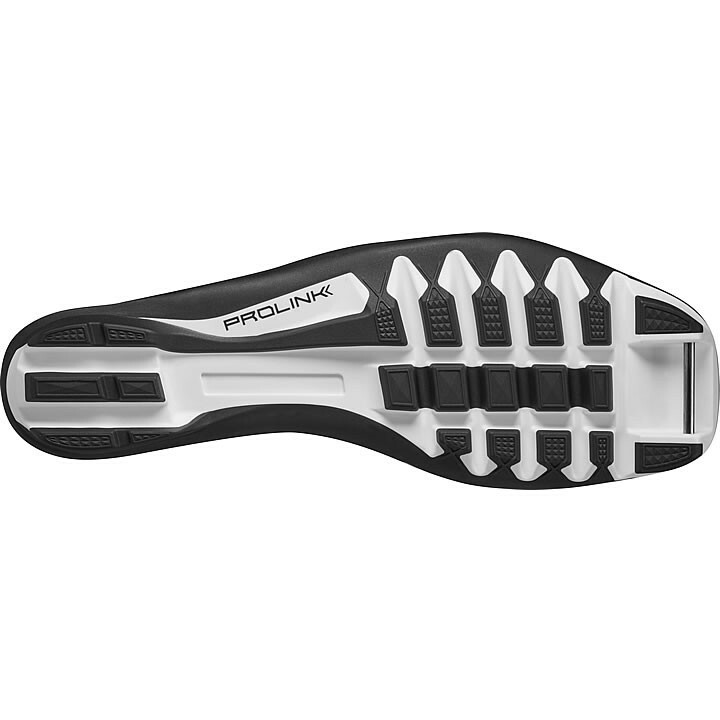 Sensifit: Provides extremely precise and comfortable foot hold for narrow to wide feet. 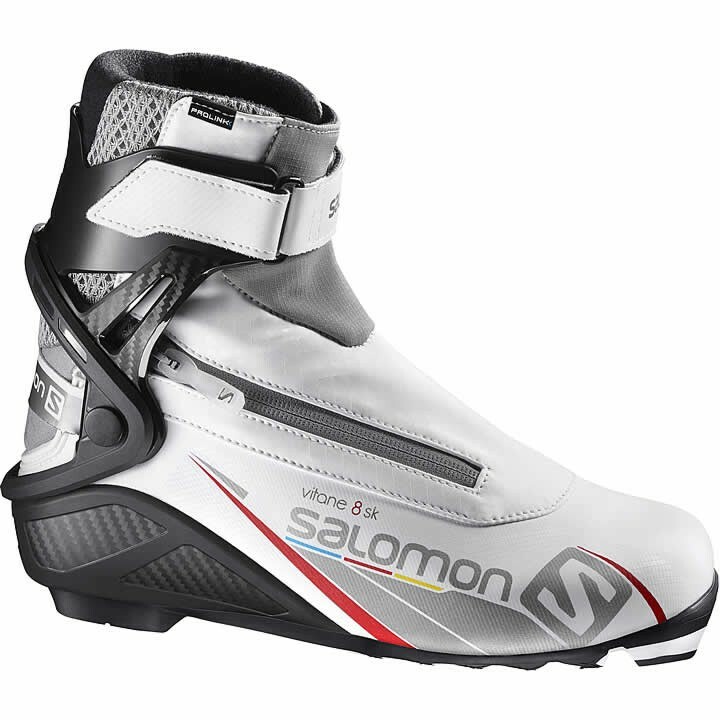 Quicklace: Salomon's well know one-pull lacing system. 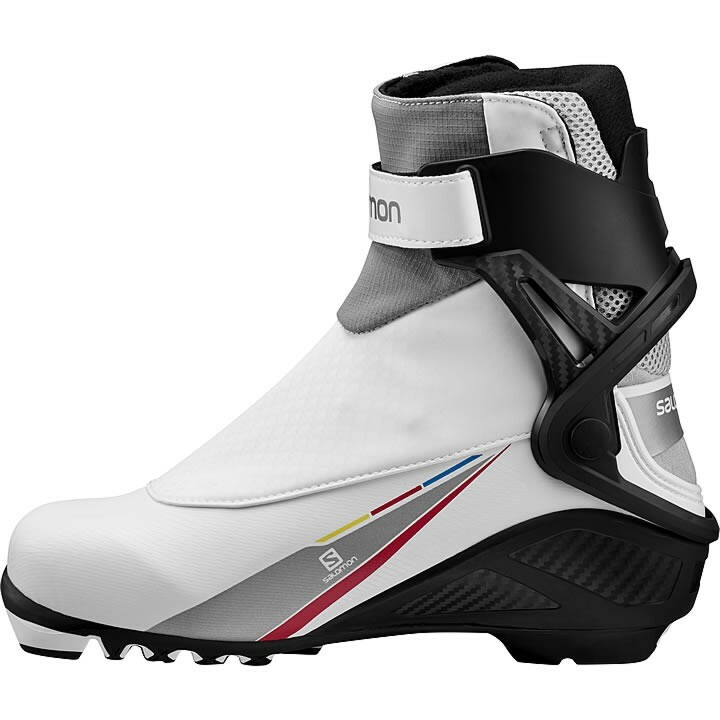 For precise and snug fit; kevlar laces that go through polygliding hooks. Energyzer Cuff: High lateral and progressive support. Faster ski return allows muscles to relax. Advanced 3D Chassis: Fiberglass reinforced plastic chassis allows strong heel support and better torsional rigidity to optimize power transfer.